I recently migrated back to Israel from Boston, MA. I am a licensed clinical psychologist in Israel and Massachusetts. In addition to my private practice I work at the Children and Youth Day Clinic at Abarbanel Mental Health Center (Bat Yam). I have been trained in a variety of approaches which include dynamic, cognitive-behavioral, motivational, developmental, family-based and emotion-focused. These approaches can be used in intensive, holistic, focused, short-term or long-term therapeutic work. Therefore, I have the opportunity to offer treatment tailored to your specific needs: the difficulties you face and the development and growth you wish for. I work actively and creatively with each client, adjusting my intervention and responding to feedback along the way. 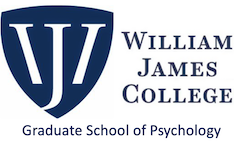 I received a masters and doctorate in clinical psychology from William James College (formerly known as Massachusetts School of Professional Psychology). I also hold a master’s in social psychology from the University of Haifa, Israel. In addition to my academic studies, I recently completed a fellowship in Psychodynamic Psychotherapy at The Boston Psychoanalytic Society and Institute (BPSI). During my years of training, I worked with individuals and groups of diverse and multicultural backgrounds including children, adolescents and adults. In my private practice and public positions I integrated cognitive-behavioral, psychodynamic and strength-based approaches to therapy. During my postdoctoral fellowship at Boston College University Counseling Services, I assisted undergraduate and graduate students with anxiety, depression, complex trauma, grief, disordered eating, substance use, relational difficulties, family separation, first generation experience, and questions of sexual and professional identity. I received clinical training with children, adolescents and adults in a variety of settings, including a K-8 public school, neuropsychological assessment center, youth and adults psychiatric hospitals as well as university counseling centers. During my first predoctoral internship, I trained at a local psychiatric hospital and provided individual and group therapy and psychological testing. 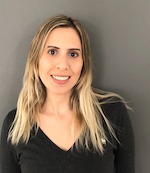 I completed my second predoctoral internship at the MIT Mental Health and Counseling Service, there I received extensive training treating young adults with urgent and ongoing difficulties through integrated relational and evidence-based approach.